On 5th of December the PoSIGers had one of the follow-up meetings on their studies so far within the PoSIG. The meeting was mentored by Dr. Kok the Executive Director of the Program. 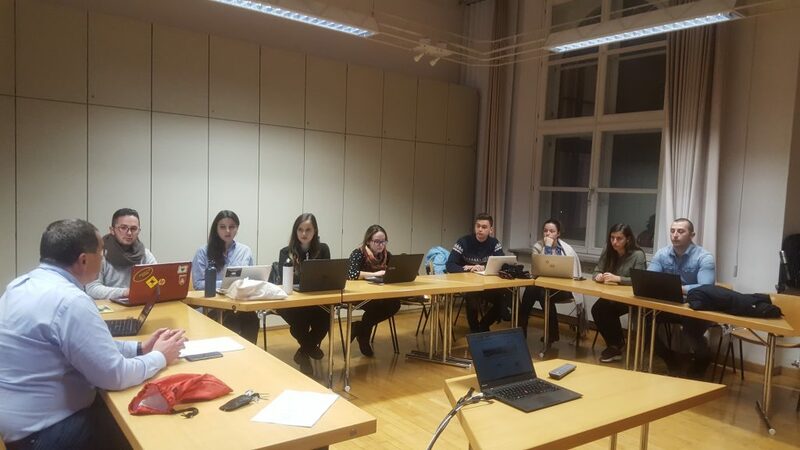 There the students had the possibility to discuss their experiences so far in the program and their life in Salzburg. Some of the most important issues discussed were the: workload of the studies; the lifestyle; the challenges of living in a different country far from family and friends. In the meeting, students and the administration agreed to have a monthly meeting in order to discuss their progress and possible problems. PoSIGers should put a lot of effort within their studies in following months but also a lot of surprises are planned for them.